Bigosaur has announced that their adorable action-roguelike Son of a Witch will release on Nintendo Switch next week. Magical hack-and-slash hijinks await, whether you choose to play solo or in two-player co-op and four-player sessions. With deep gameplay mechanics that reward constant experimentation and learning hidden behind the game’s otherwise cutesy exterior, there are more than 120 unique weapons and items to discover – with only some that you’ll come across on each run. 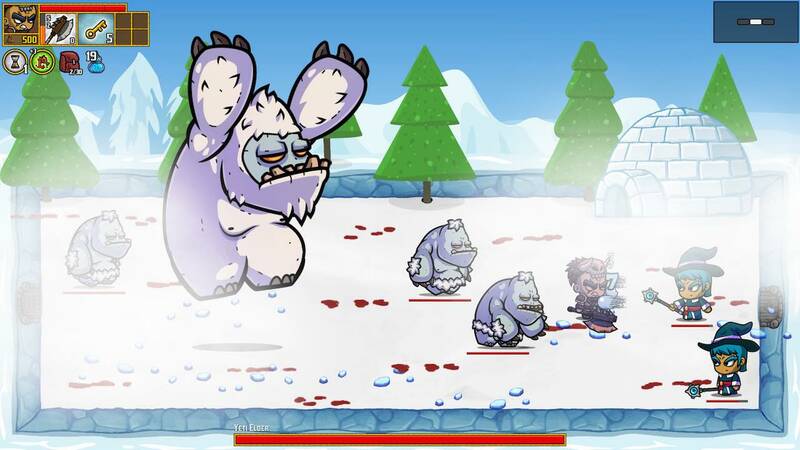 “After completing Castle Crashers for the second time, I started thinking: what would make a beat’em up game more replayable and interesting in the long run?” creator Milan Babuškov explains. “Inspired by some roguelike games like The Binding of Isaac, I added procedural map generation and over a hundred different magic spells, items, weapons, quests and game mechanics that you can combine in interesting ways. Son of a Witch will release on the Nintendo eShop for Nintendo Switch in North America on September 4th.